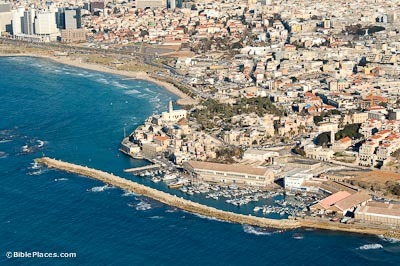 Jaffa is located about 30 miles (48 km) south of Caesarea. 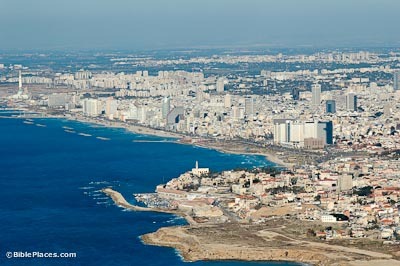 The modern population of Jaffa is about 60,000. Today Jaffa has a Jewish majority (mostly from other Mid-Eastern and North African countries) with a sizeable Arab Christian and Muslim population. The name Joppa appears for the first time in the list of cities that Thutmose III captured (15th century BC). The legend of Andromeda being bound to the rock was first associated with Joppa by Strabo (1st century A.D.). 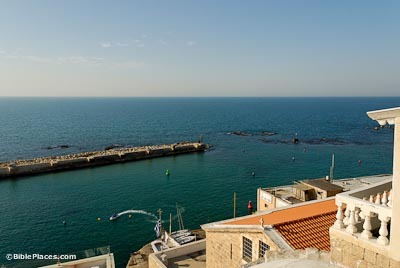 Jaffa is one of the oldest functioning harbors in the world. Today it harbors only small fishing boats. 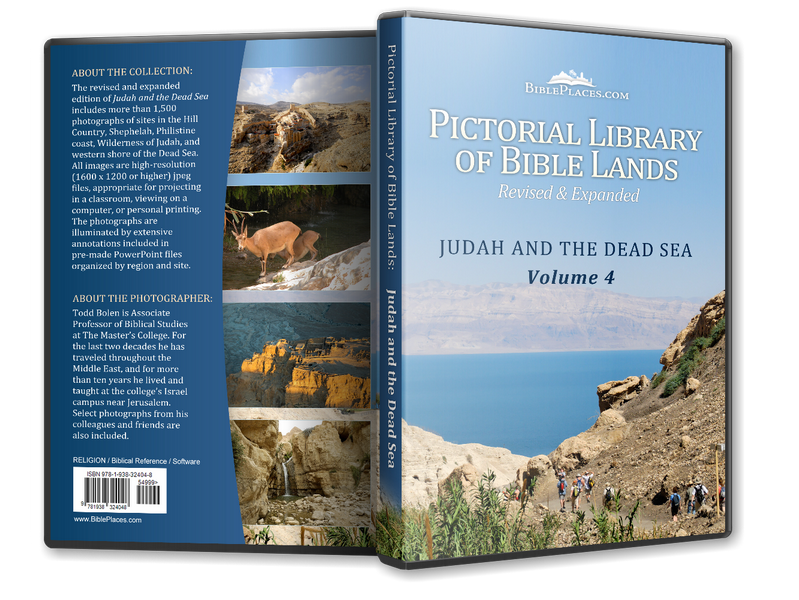 This was the port to which Jonah came when fleeing from the Lord to Tarshish (Jonah 1:3). For the construction of Solomon’s Temple, cedars were floated from Phoenicia to Joppa and then transported to Jerusalem (2 Chr 2:16). 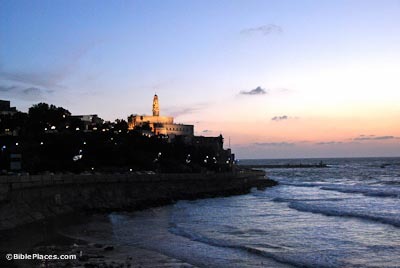 Jaffa was the main port of entry during the Turkish period and pilgrims and visitors would enter the Holy Land here. Peter came to Joppa from Lydda to raise Tabitha (Dorcas) from the dead (Acts 9:36-42). While in Joppa, the apostle stayed at the house of Simon the Tanner. When Peter was praying on the roof, he had a vision of a large sheet filled with animals being lowered from heaven (Acts 9:43-10:23), signaling to him to go with the messengers from Cornelius. The Church of St. Peter marks the traditional site of Peter’s vision of the great sheet.